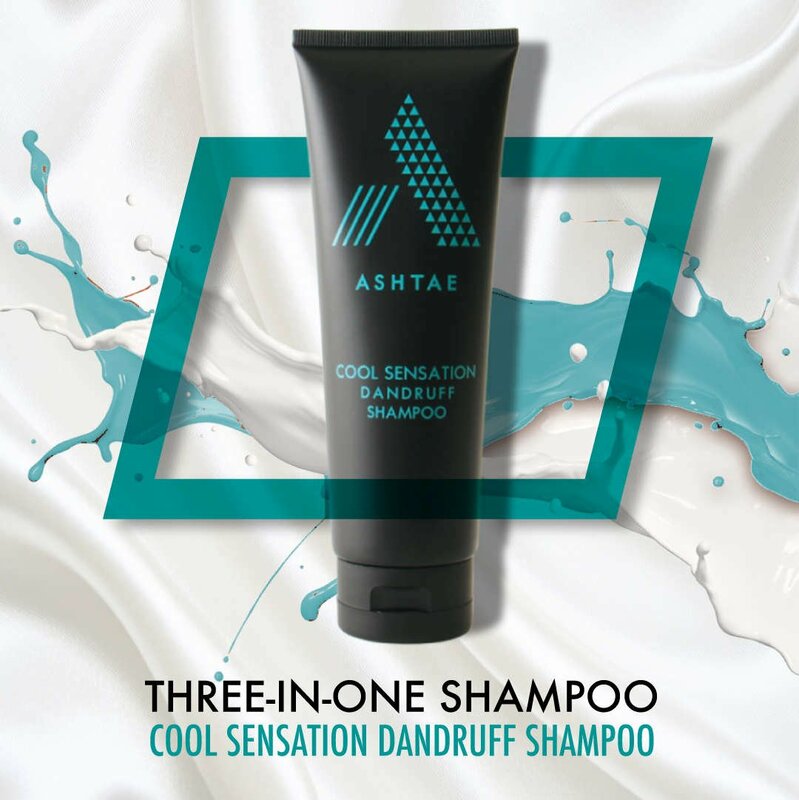 ASHTAE Cool Sensation Dandruff Shampoo has been carefully formulated to lift and remove both oily as well as dry dandruff. It’s tingling action leaves the scalp feeling clean and refreshed. Our three-in-one dandruff shampoo has a built-in Antiseptic, Bactericide, and Fungicide! Cleanse your hair once and for all with the Ashtae Dandruff Shampoo. Water, Sodium Lauryl Sulfate, Cocamide DIPA, Glycol Stearate, Chloroxyle- nol, Linoleic Acid, Linolenic Acid, Arachidonic Acid, Tocopheryl Acetate (Vitamin E), Collagen Linoleate, Triticum Vulgare (Wheat) Germ Oil, Simmondsia Chinensis (Jojoba) Seed Oil, Sorbitol, Sulfur, Hydrolyzed Mucopolysaccharides, Hydrolyzed Hair Keratin, Acetamide MEA, Panthenol, Tetrasodium EDTA, Phenoxyethanol, Ethyhexylglycerin, Menthol, Fragrance, Blue 1. Apply ASHTAE Cool Sensation Dandruff Shampoo to dry hair. Let sit for 3-5 minutes. Apply water, later, then shampoo twice and follow with any ASHTAE Conditioner. 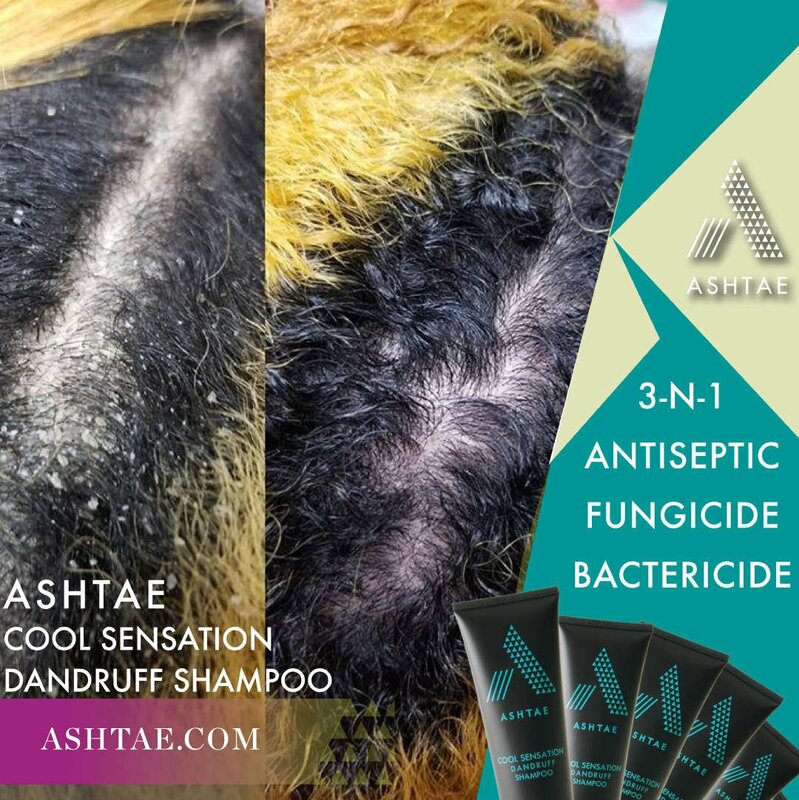 For Dry Dandruff: Mix ASHTAE Cool Sensation Dandruff Shampoo with ASHTAE Hair Oil and apply directly to the scalp (of dry hair) by parting the hair into sections. Let the mixture sit on the scalp for 3 - 5 minutes. Massage into hair. Rinse thoroughly. OMG the best dandruff shampoo ever, it cleanses and heals the scalp, as well as leaving the hair soft and shiny!!! Not only did I purchase the Cool Sensation Dandruff Shampoo I'm also using the Cleansing Shampoo. I'm very PLEASED with the intense cleaning on my clients with locs. I love this product. This product has many functions dealing with the hair and scalp. You can use this as a daily shampoo as well as a treatment for clients who deals with dry and itchy scalp. I like that the shampoo has anti bactericide, fungicide, and antisepticide. Giving clients a deep cleansing experience. This product is one of my top saling feature to male client. Whom love the spa like experience that they encounter daily! 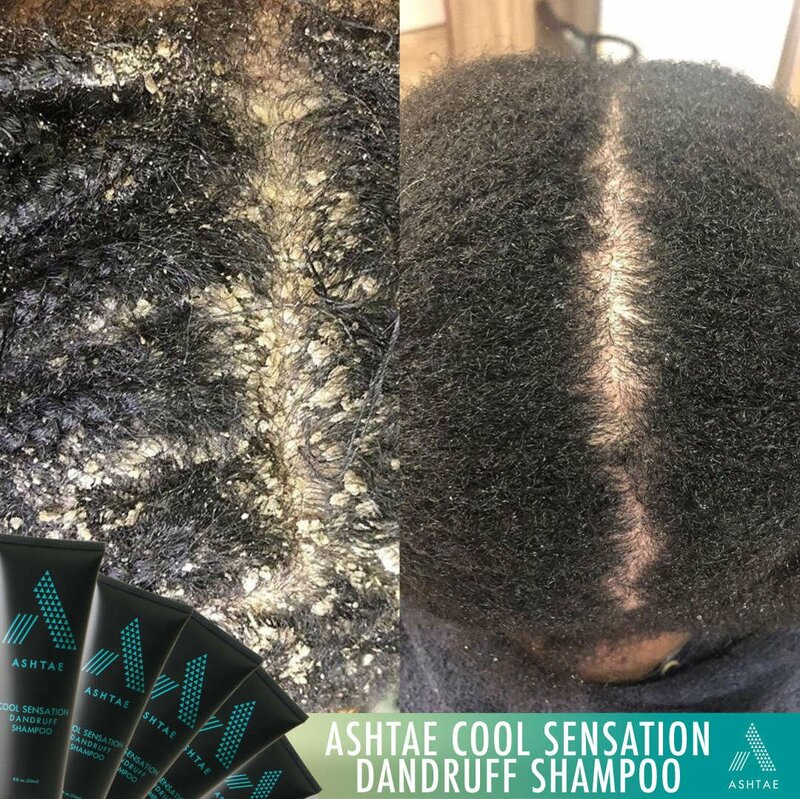 Use the Ashtae Cool-Sensation Dandruff Shampoo directly on the scalp to remove oily dandruff and completely cleanse the scalp and hair shaft.